Join us for the free Community & Family Awareness event – STROKES: WHAT YOU NEED TO KNOW. Ukrainian Center is excited to partner up with the University of Minnesota Physicians and Medtronic, Inc. to increase awareness and educate the wider community about how to recognize and what to do in case of a stroke. 1:15 -2:15 pm – Lecture led by the University of Minnesota physicians: Dr. Andy Grande, Cerebrovascular Neurosurgeon, Dr. Chris Streib, Stroke Neurologist, and Dr. Huseyin Tore, Interventional Neuroradiologist. Come to the Reception to enjoy light refreshments. Bring children! They will have an opportunity to explore a fire truck and ambulance generously provided by the Minneapolis Fire Department and Hennepin County Medical Center. 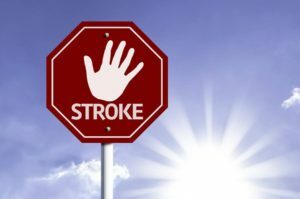 Do your children know how to recognize the signs of the stroke and be ready to help? At this event, kids will have an opportunity to learn how to act FAST when someone is suffering a stroke. Meet and shake hands with Mayor Jacob Frey (an avid runner), who will give opening remarks for the event at 1:00 p.m.
Bring your family and friends to join the fun! All are welcome!